If you missed out on the Tetris Effect demo the first time around, or just want to dive back in, you’re in luck. This weekend, a limited-time demo will drop on the PlayStation Store. It will be available from February 8, 2019 until February 11, 2019. Keep in mind that, because this demo is a limited-time experience, it will no longer be playable after Monday. Once it’s deactivated, it’s over. For this reason, an internet connection is required to play the demo; this is not the case for the full game. The demo is fully playable in 2D, including offering 4K resolution and HDR support on the PlayStation 4 Pro, or optionally in PlayStation VR. It includes three stages from the “Journey Mode,” i.e the campaign. These stages have their own themes, graphics, music, and sound effects that all sync up with the gameplay. Play on one of three difficulty settings, including Beginner, Normal, and Expert. The demo also includes two Effect Modes: Marathon Mode and Mystery Mode. These modes are divided into four different themed categories based on the effect they will have on the player: Relax, Focus, Classic, and Adventurous. In the full game, players can expect over ten different effect modes. 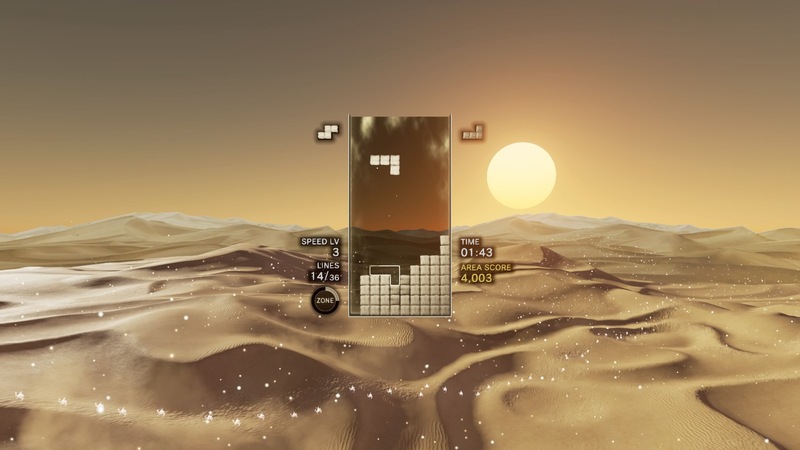 For more on Tetris Effect, be sure to read our review and learn why, despite rehashing a 1984 game, this had the freshest idea we saw in 2018.